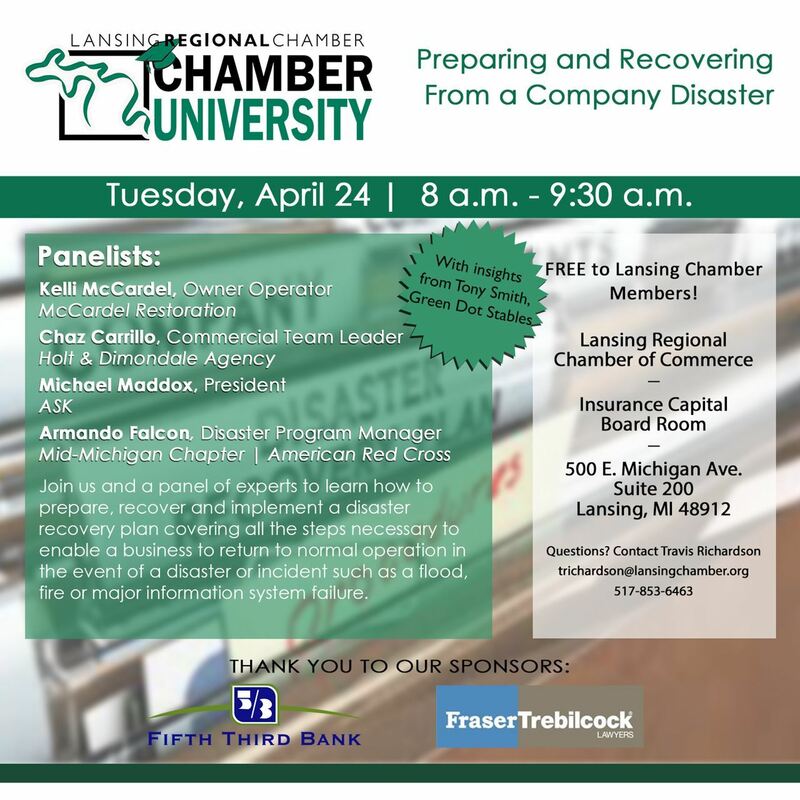 The Lansing Regional Chamber presents Chamber University: Preparing and Recovering From a Company Disaster on Tuesday, April 24th from 8:00 am - 9:30 am. This will be held at the Lansing Regional Chamber of Commerce in the Insurance Boardroom. Join us and a panel of experts to learn how to prepare, recover and implement a disaster recovery plan, covering all the steps necessary to enable a business to return to normal operation in the event of a disaster or incident such as a flood, fire, or major information system failure.